You know what they say. The one who dies with the most T-shirts wins! I think I managed to miss this in Holmfirth so hopefully will be some left by Roundhouse - is there an online way of buying Nick, and how much are they ? I was lucky enough to be able to lay my hands on this print and it's really smart. It's at the framers already with the other hollow meadows print. Should look great next to each other. 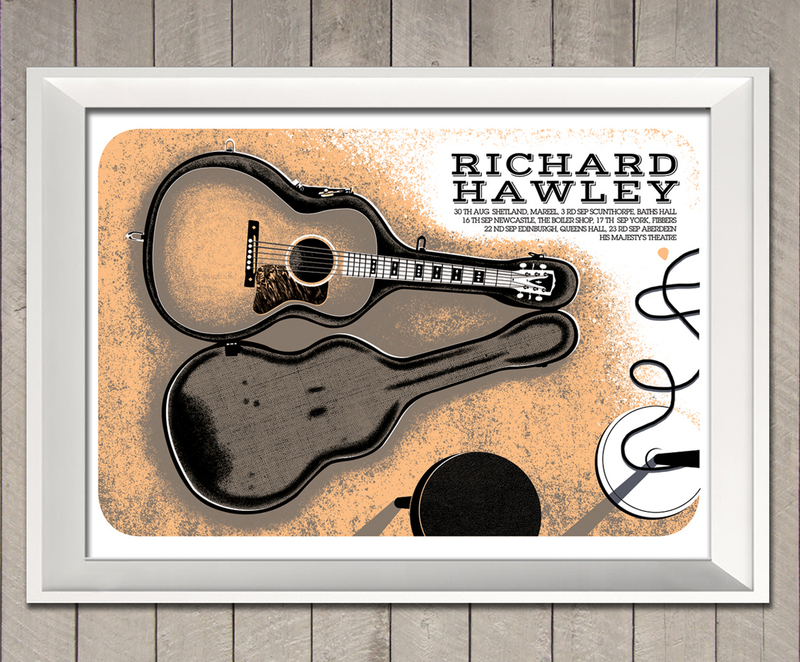 I am pleased to be commissioned once again to produce Richard Hawley's UK tour print. The limited edition screen print will be for sale as official merchandise on the up and coming tour. The 3 colour screen print is A2 (59.4mm x 42mm) in size, and is in an edition of 200 prints. That kind of stopped my heart a little. Legitimately breathtaking. Sadly I, as a human being in the United States who won't be making this particular tour, am very unlikely to have a chance to procure one of these beauties you've created. However, please just know that I have the deepest appreciation for your gorgeous poster art. 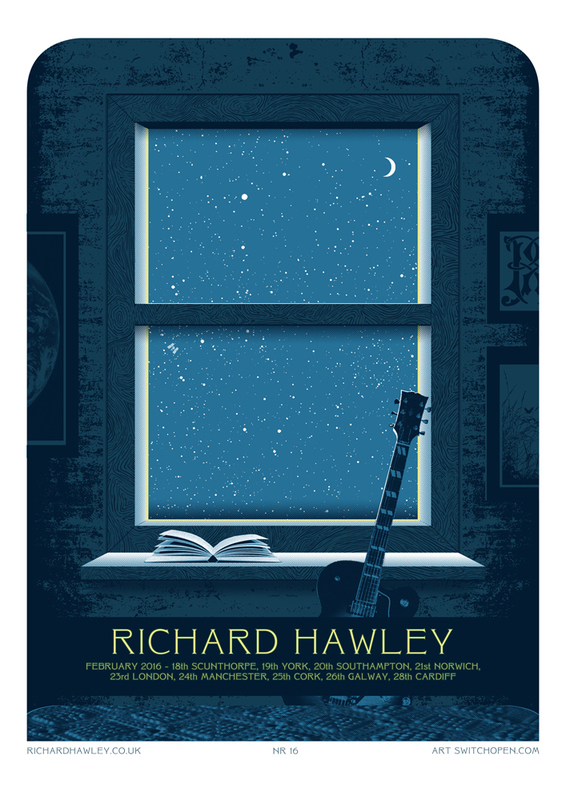 I am pleased to announce that I have been commissioned by Richard Hawley to produce a print for his latest tour coming up in September 2016. Richard's latest tour will be an acoustic tour at selected towns across the UK. Calling in at Scunthorpe, Newcastle, York, Edinburgh and Aberdeen.